They can be specially designed in a wide variety of shapes, sizes and compositions to suit the equipment in which they will be installed. Lip seals hold the oil inside a rotating shaft while keeping air, dust, and dirt out. Understanding what lip seals are and why they are important involves understanding the role of rotating shafts in industrial, commercial and consumer utilities. A rotating shaft is a cylinder through which a rod or other cylindrical object is placed. That rod spins around in response to the force exerted by a motor, a hydraulic system or even the force exerted by a human. Rotating shafts are important parts of actuators, steering systems, many different kinds of industrial process machinery and a wide variety of other important equipment. Many if not most of the different varieties of equipment that involve rotating shafts require the use of lubricating oils, hydraulic fluid or other chemicals that contribute to the effectiveness and efficiency of the equipment. In such cases, seals that maintain the pressurization and purity of the shaft are important. 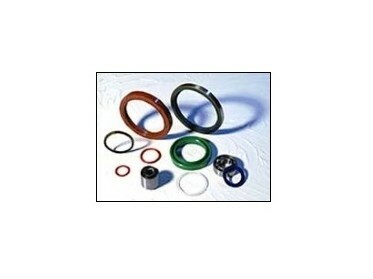 Lip seals are versatile, high-performance seals used for uniform, low-pressure applications. Lip seals can have one, two, three or more lips, each of which contributes to the way that the lip seal functions. Multiple lip designs provide extra protection against contaminants. In the earliest days of their use, lip seals were made of rawhide and were produced in tanneries. With the development of rubber products, particularly synthetic rubbers like Teflon, almost all lip seals came to be composed of more advanced materials that made their use more feasible in more demanding applications. Today, a very large percentage of all lip seals are made of Teflon. 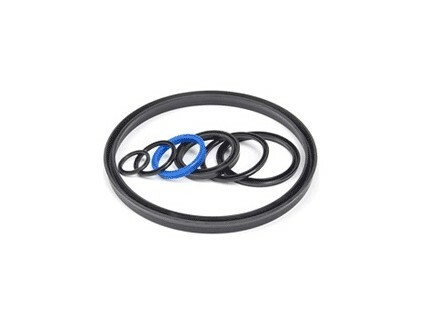 Teflon can withstand high pressure applications in which rubber seals would fail. Teflon is an elastomeric material that provides enhanced lubrication properties, resistance to wear and added strength. It is also very chemical-resistant compared to other rubber varieties. Properly pairing a lip seal with its application is important to the safe and effective function of many different kinds of rotating shafts. A correctly chosen, installed and maintained lip seal can mean the difference between extended, efficient equipment lifespans and premature equipment failure. Lip Seals Lip seals, which are also sometimes called oil seals, hydraulic cylinder seals and shaft seals, help to prevent the contamination or depressurization or rotating shafts.